The Nest I/O, a tech incubator backed by P@SHA has recently hosted an event for its network of alumni and startups to mark its 3-year anniversary. The Nest I/O was launched back in January 2015, in collaboration with Google for Entrepreneurs and Samsung, with a supporting grant from the US State Department. Three years later, the organization has successfully completed 6 incubation cycles and launched 117 startups who have produced 370 new jobs, hosted hundreds of training sessions, workshops, and events for not only The Nest I/O’s network but also for budding entrepreneurs from around the country. Industry professionals from around the world have now become a part of The Nest I/O’s network in a short span of 3 years, including representatives from Google, Facebook, SendGrid, 500 Startups, HubSpot, and many more. To commemorate and celebrate all of this and much more, The Nest I/O hosted an event for its current and graduated startups to come together and share stories and memories, mingle and network! The alumni shared stories about their startup journeys and even gave some advice to the current batch of incubatees to help them overcome the obstacles that they will come up against in their own journeys. Sana Farooq, Founder of ELN (The E-Learning Network) shared her story of how she flew in from London on a hope and a prayer, just to get a chance to pitch at The Nest I/O. Looking back on the remarkable turn of events, Sana said, “Since that fateful day, I have seen my startup grow, I have seen my sales double, then triple. I have become a TEDx speaker. I have got a chance to go all the way to Silicon Valley to attend Blackbox Connect. I am what I am today, and ELN is what it is today, because of The Nest I/O”. Saba Khalid, the founder at Aurat Raaj, an organization that is building a digital content platform to empower Pakistani women, remarked on how the welcoming environment at The Nest I/O helped her grow as an entrepreneur: “I came to The Nest I/O with a journalism background with zero technological know-how. But instead of making me feel incompetent for my technical ineptitude, the mentors, the team, and even my batchmates were eager to impart their knowledge to me. I am thankful to them for their time and effort that helped make Aurat Raaj the platform it is today.” Apart from having her startup inducted into the IBM Global Entrepreneur program last year, Saba was recently awarded a seed grant from The Do School, an international incubator, for her latest project, Raaji – an interactive chatbot which aims to educate and entertain Pakistani adolescent girls with issues pertaining to gender and self-esteem. Aurat Raaj was also recently been featured on a list of 14 change makers with global impact by Huffington Post. 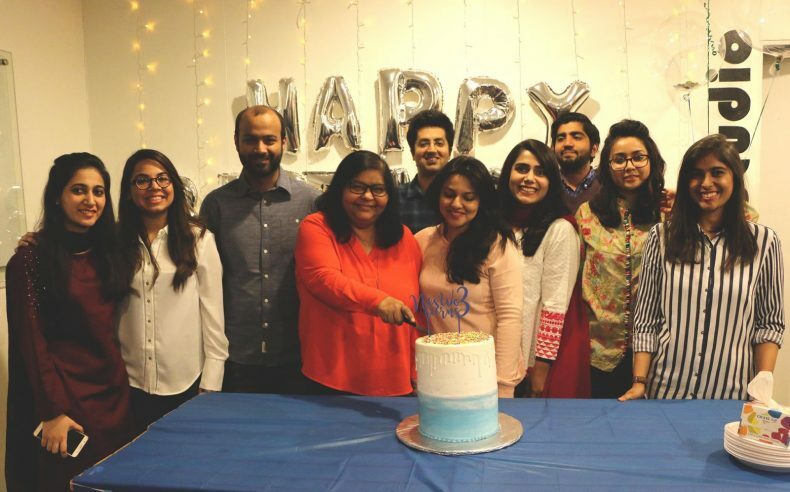 Jehan Ara, The Big Bird, and the powerhouse of The Nest I/O, also shared her memories of how space was created and what it means to be a part of it. 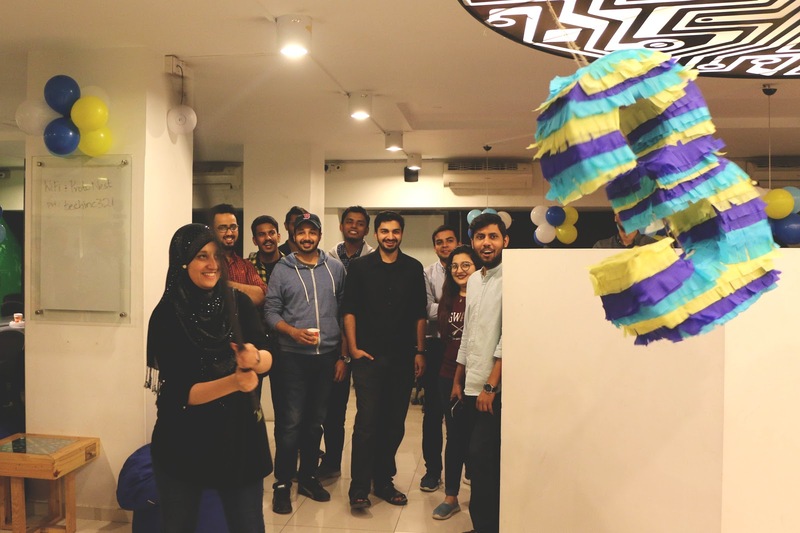 She said, “The Nest I/O was created to revive the startup culture in Pakistan and provide more opportunities and an accessible avenue to young entrepreneurs from around the country, but it is now a lot more than just that. The Nest I/O does not only support dreams of incubated startups but is inspiring people, young and old, to believe in themselves and become a part of something bigger than all of us”. Aside from providing mentorship, support, and other resources to its incubatees, The Nest I/O has created a community network for diverse technology startups and mentors from different industries to collaborate and learn from experience, and also lend each other a helping hand whenever needed. With flagship events like 021Disrupt, Startup Weekend, Innovation Breakfast, Women Scaling Heights, Campus Connect, and much more under its umbrella, The Nest I/O has become a hub for budding entrepreneurs and a support system for the startup community of Pakistan.